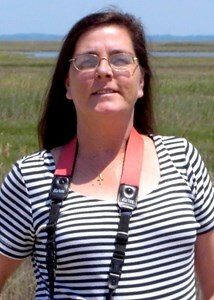 Newcomer Family Obituaries - Valerie A. Aurand 1959 - 2019 - Newcomer Cremations, Funerals & Receptions. Valerie A. Aurand went peacefully to her heavenly home in the early hours of April 6th, 2019, comforted by her loving husband of 40 years. Valerie was a resident of the Ohio Eastern Star Home in Mt. Vernon, Ohio. She was 60 years old. Valerie was born March 2nd, 1959 in St. Petersburg, Florida. Her family moved to Rochester, New York and then to Westerville, Ohio where Valerie graduated high school in 1976. She enrolled in elementary education at Ohio state, then, had a change of heart and decided to enter the work force. Valerie excelled in the field of accounting and finished out her career at J.P. Morgan Chase at Easton. Valerie was always outgoing and had a gregarious personality. She loved nature and going camping. She enjoyed to travel and visited many wonderful destinations. She had a host of friends and loved to socialize. She enjoyed entertaining and especially loved holding her "Christmas Land" event for many years. Valerie was very much a dog lover. Although she did not currently own any dogs, she often threatened to "kidnap" the ones that belonged to the nursing home staff. Valerie is survived by her husband, Steve Aurand, brother and sister-in-law, Cyril and Jan Ostiguy of Huntington, Tennessee, sister and brother-in-law Suzanne and Jeff McKenna of Canal Winchester, Ohio, sister and brother-in-law Gail and Richard Shoots of Mt. Vernon, Ohio, sister and brother-in-law Lorraine and Scott Novak of Mobile, Alabama, step mother Lenora Ostiguy of Mobile, Alabama, brother-in-law and sister-in-law Denny and Susan Aurand of Gahanna, Ohio, many nieces and nephews, and grandnieces and grandnephews. Valerie was preceded in death by her father Robert A. Ostiguy, mother Betti-Roie Winer (Baldwin) both of Canada. Visitation will be Saturday, May 11, 2019 from 4pm to 7pm at Newcomer NE Chapel 3047 E. Dublin Granville Rd. Columbus. In lieu of flowers, memorial contributions may be made to Hospice of North Central Ohio. Add your memories to the guest book of Valerie Aurand. One of my longest dearest friends- you will always be in my heart. What good memories I will cherish forever- I cannot even begin to say everything I want to say. I feel very blessed to be a part of your life and friend for ever. Will miss your hugs and laughter. Valerie was my friend since the third grade. It takes a special person to keep a friendship alive for 50 years and Valerie always made the time to reach out to make sure we kept in touch. We didn't speak often but when we did we would spend hours catching up and it was as if we had no time apart. I have so many fond memories of our time together in Rochester and summers together in Ohio. (Sleep overs and motocross) I will remember her laugh and kind spirit and her ability to make everyone love her because of her ability to make you feel special. My sympathy goes out to Valerie's dear husband Steve and her family. Know that my loving thoughts and prayers are with you now. Going to miss you , so glad Polly and I got to know you and Steve . Rest in peace Valerie. Your kindness will never be forgotten. Warren J. “Ren” Newcomer, Jr. is a licensed funeral director in the states of Kansas and Ohio. Theresa Newcomer is not a licensed funeral director. Jim Anderson, Area Manager.